Who would you rather see get another shot at Joshua – Whyte or Parker? The stakes are high going into tomorrow night’s heavyweight rumble between once-beaten contenders Dillian Whyte and Joseph Parker. The elimination bout, really a must-win fight for both the former British champ from London and the former WBO ruler from New Zealand, could earn the winner a world title shot – and with it a shot at revenge. Anthony Joshua is the only man to have beaten Whyte and Parker, and it is entirely possible tomorrow’s winner will get another shot at AJ. Next April, at Wembley, Joshua will fight again (assuming all goes well in the WBA/WBO/IBF ruler’s September defence against Alexander Povetkin), and Whyte and Parker are each hoping it will be them who gets the prize. Assuming tomorrow’s winner does get the April date with Joshua, who would you prefer it to be: Whyte or Parker? Whyte was KO’d by Joshua back in December of 2015, in a British and Commonwealth title fight, yet he sure went down swinging. Whyte, having gotten under Joshua’s skin (a place he has seemingly remained since the fight; Joshua today saying he “hates” Whyte) succeeded in getting AJ off his game and the two slugged it out. It was an exciting fight for the seven rounds the battle lasted and Whyte certainly tested Joshua’s chin before being brutally despatched. Parker, in his March unification fight defeat to Joshua, managed to go the full 12-rounds with AJ (the first man to do so) but the fight was dull all the way through with no real drama to speak of. Parker and his team blamed a poor referee who would not allow him to fight on the inside but not many AJ fans bought this. In terms of getting to see an exciting fight where the challenger will not be afraid to let his hands go, fans would surely prefer to see Whyte get the win tomorrow and with it the rematch with Joshua. Parker says a return between he and AJ would be “entirely different,” but we have only his word for that. With Whyte we know what we saw: a slugger with genuine dislike for his opponent, slinging away with bombs loaded with bad intentions. If he does the business against Parker and looks good in doing so, Whyte will have plenty of support as far as fans calling for that Joshua return. Parker really has to turn it on tomorrow, let his hands go and fight, as he says he will, with venom. 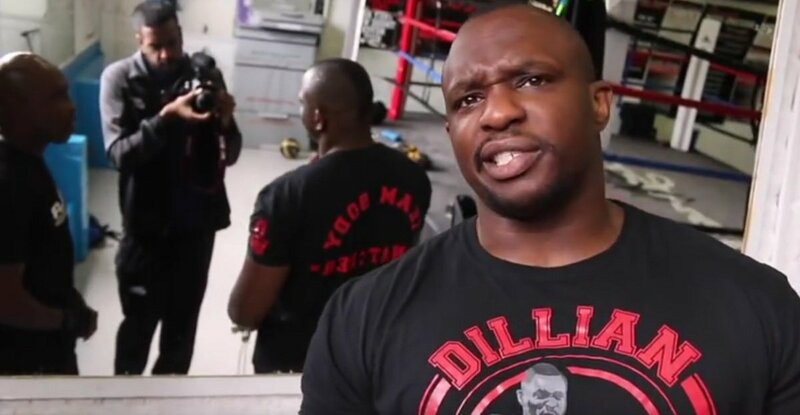 If he can, and if he can make good on his prediction of stopping Whyte quicker than Joshua managed it, the former champ will have a fair amount of fans on his side calling for that return with the three-belt ruler. But as far as previous performances go, and as far as the overall styles of the two men go and how appealing they are to the fans, a Joshua-Whyte II seems a far easier sell than a Joshua-Parker II. Previous boxing news: Can Lee McAllister, a former lightweight, defeat former heavyweight world title challenger Danny Williams? Next boxing news: Garcia vs. Easter Jr: Is Mikey Looking Past E-Bunny? You are here: Home / Boxing News / Who would you rather see get another shot at Joshua – Whyte or Parker?